Here in the Royal Irish Academy Library a team of compilers work on Irish History Online (IHO), an up-to-date and comprehensive database listing of publications on Irish history. We are the National Bibliographic Centre for Irish History. IHO is an essential resource for the study of Irish history at any level, and is free of charge to users. Irish History Online is an authoritative listing of what has been written about Irish history from earliest times to the present. It lists writings on Irish history published since the 1930s, with selected material published in earlier decades. It includes bibliographic information on books and pamphlets, articles from journals published in Ireland or internationally, and chapters from books of essays, including Festschriften and conference proceedings. It is kept up to date, and already lists many books and articles published in 2016. The database is updated almost daily and more than 3,000 new entries are added each year. The Irish History Online database includes a fully searchable electronic version of the printed listings of ‘Writings on Irish History’ that were published annually in Irish Historical Studies since the late 1930s. Cumulatively, over 95,000 bibliographic records on Irish history are now searchable online through the Irish History Online database. Irish History Online is compiled and regularly updated by a team of voluntary editors and compilers. The team in 2016 is: Eoin Baireád, Máirín Cassidy, Ciarán McCabe, Pádraicín Ní Mhurchú and Sinéad Noonan. The work is coordinated by Bernadette Cunningham, deputy librarian, editor of Irish History Online. We remember with great fondness and respect Ciaran Nicholson, former IHO compiler, who died in May 2016. From his base in Trinity College Library, Ciaran worked from 1989 to 2013 as compiler of new data on books and articles in books and contributed hugely to the comprehensiveness of the Irish History Online database. The IHO project team is very grateful to Irish Historical Studies Ltd, who provided some funding to the project in 2016. This donation, matched with some existing funding, enabled a librarian (Sinéad Noonan) to be employed on a two-day week between April and July 2016. Maynooth University Department of History funded a student (Brendan Hannon) to work on the IHO database in summer 2016. This ‘SPUR’ scheme was administered by Dr Jacinta Prunty and Prof. Jacqueline Hill at Maynooth while training was provided by Bernadette Cunningham in the Royal Irish Academy Library. The Legal Deposit departments at Trinity College Library and the National Library of Ireland supply us with monthly lists of new acquisitions relating to Ireland. These are checked by the project team and relevant items are added to the IHO database. The Irish Committee of Historical Sciences continues to support our vital national bibliographic project as it has done since its foundation. 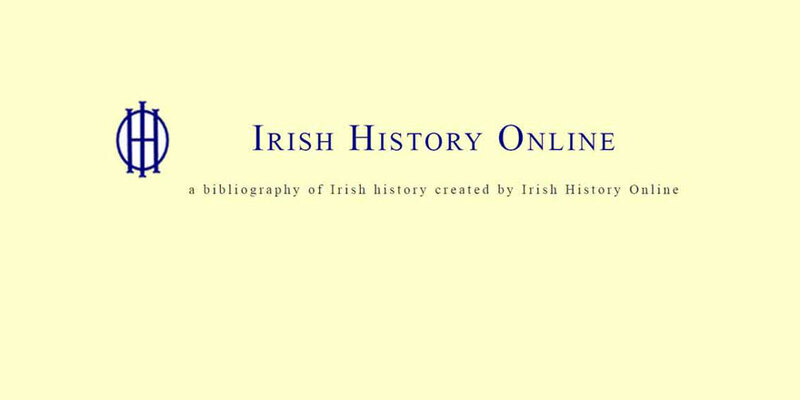 Irish History Online (IHO) is part of a European network of national historical bibliographies. 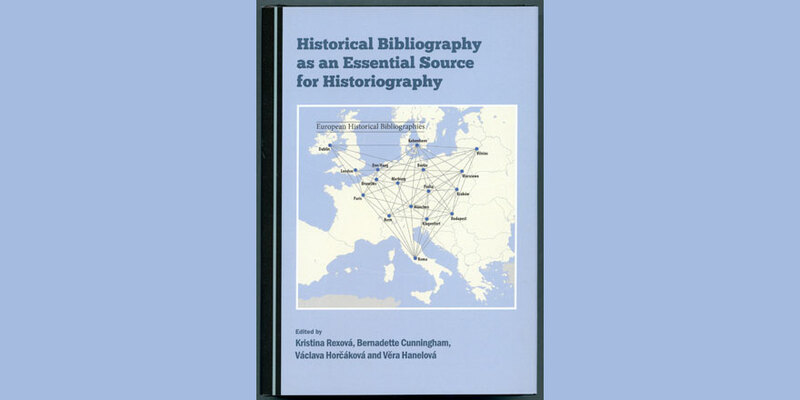 We are members of the European Historical Bibliographies Network, a collaborative international project of subject-specific bibliographies from fourteen European countries. Together, these bibliographies are part of the fundamental research infrastructure for the humanities in Europe. The Network promotes cooperation among the participating institutions and brings together, on a European level, the various national bibliographic resources so that trans-national historical research is facilitated. The common platform is hosted by the Berlin-Brandenburg Academy of Sciences and Humanities (Berlin-Brandenburgische Akademie der Wissenschaften). If you have published an article or book on Irish history, or on the history of the Irish abroad, do check that your publication is listed on our Irish History Online database. You are very welcome to send us details of any additions or corrections. Please email your comments and suggestions to the IHO project editor at iho@ria.ie. We aim to provide a comprehensive, accurate, up-to-date listing, and if you have published research on Irish history, we would like to record your work on Irish History Online.